Oh look! It's Ellie and Jinx together again. No- this post isn't a throwback to 2014! 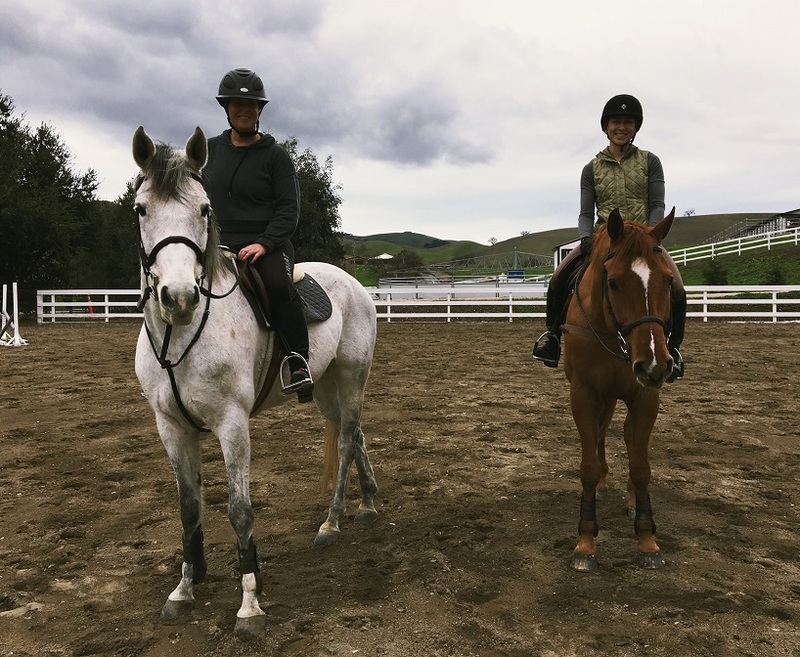 Lexi and Jinx moved to our barn back in November and last week was the first time we were coordinated enough to manage a ride together. Not much has changed- I'm still going through my Spring nerves and Jinx is as solid a citizen as ever in his 18th year. Over the past 12 months my barn family has morphed into a close knit group of Oakland women who regularly meet up to puppy social, host impromptu wine and cheese chats, and are always good for a laugh!